Here is the valley of Lodgepole Creek through which passed historic trails, telegraph lines, and railroads. The famed Pony Express followed the valley in 1860-61. "Nine Mile" Pony Express station was located just southeast of present Chappell; "Pole Creek No. 2" station was a few miles west of here. Near Sidney, the Pony Express trail turned northwestward, passing Mud Springs station and Courthouse Rock en route to the North Platte River. In 1861 the first transcontinental telegraph line was built through the valley. Stagecoaches of the Central Overland Route soon followed, carrying passengers and mail. Former Pony express stations continued to serve the stage line, providing lodging and provisions for travelers. When the tracks of the Union Pacific Railroad reached here in 1867, wagon and stagecoach travel declined. Today modern highways retrace historic trails through the valley. Two miles east is Chappell, at first only a railroad siding. The townsite was surveyed in 1884 and a post office was established two years later. Chappell became the county seat of Deuel County in 1894. 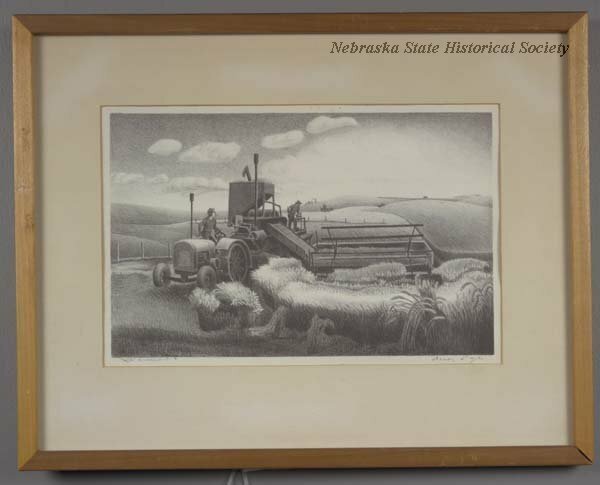 “Historic Lodgepole Creek Valley,” Explore Nebraska History, accessed April 19, 2019, https://mynehistory.com/items/show/149.